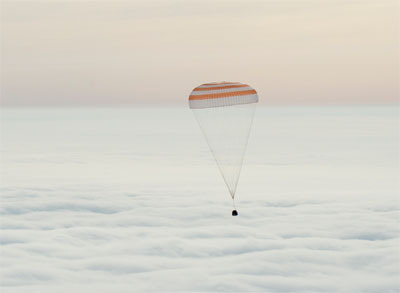 Future pilots of "Soyuz". 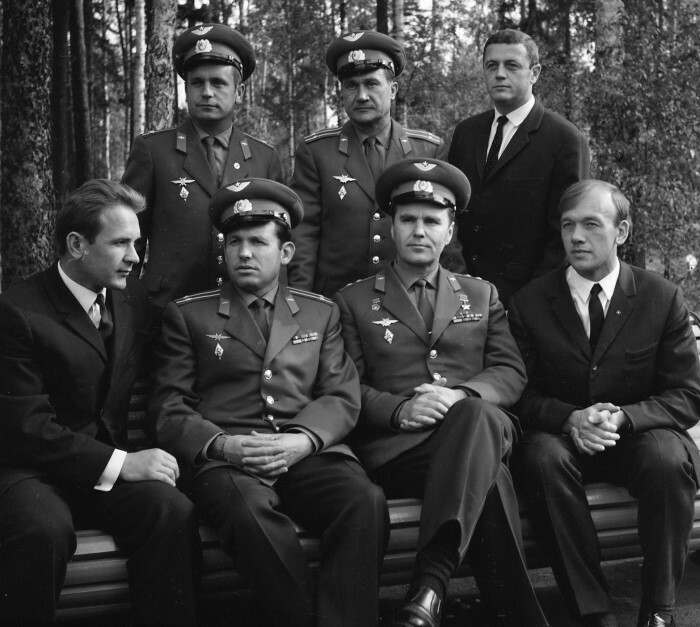 In front from left: Valeri Kubasov (first flight - "Soyuz-6"), Georgi Shonin ("Soyuz-6"), Vladimir Shatalov ("Soyuz-4"), Alexey Eliseyev ("Soyuz-5"). Behind from left: Viktor Gorbatko ("Soyuz-7"), Anatoly Filipchenko ("Soyuz-7"), Vladislav Volkov ("Soyuz-7"). 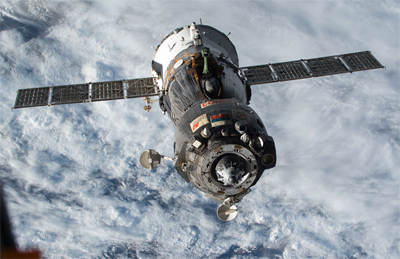 Future pilots of "Soyuz". 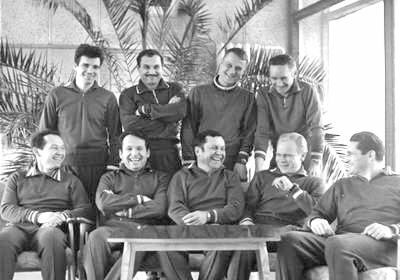 In front from left: Gennadi Sarafanov ("Soyuz-15"), Georgi Shonin ("Soyuz-6"), Pavel Popovich ("Voszok-4", "Soyuz-6"), Lev Diomin ("Soyuz-15"), Boris Volynow ("Soyuz-5"). Behind from left: Valeri Zudov ("Soyuz-23"), Vitali Zholobov ("Soyuz-21"), Valeri Rozhdestvenski ("Soyuz-23"), Anatoly Kuklin. 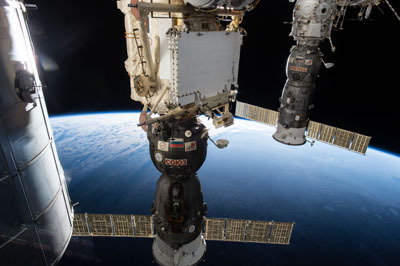 Cosmonauts in the cabin of the Soyuz.